If you are interested in bottled gas but are unsure whether it is right for you, read on. What is LPG Bottled Gas? ‘LPG' is actually a catch-all term for a number of different types of gas. The common characteristic of these gases is that they can be compressed into liquid. 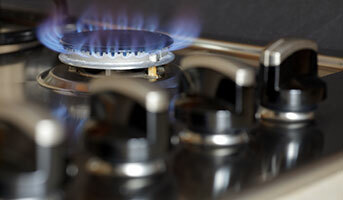 Butane and Propane are the two most common types of gas in the LPG category. Bottled and Natural gas generally satisfy many of the same household energy requirements but there are differences between the two. 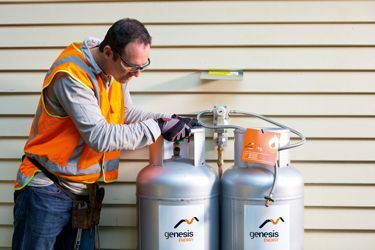 Most homes in NZ that use bottled gas use a Propane-Butane mix. This type of gas is supplied in gas bottles and goes by many names: LPG, LPG gas, LP Gas, BBQ Gas and bottled gas. Regardless of the name it goes by, it's all the same gas. For the most part, people opt for bottled gas in the home when natural gas is unavailable or too difficult or uneconomical to install. A cost-effective gas solution for households without access to natural gas. Available in more areas than natural gas. Whilst easy to manage, gas bottles still need to be monitored and refilled/exchanged. Natural gas differs from bottled gas in that it is piped direct to the home via gas mains. 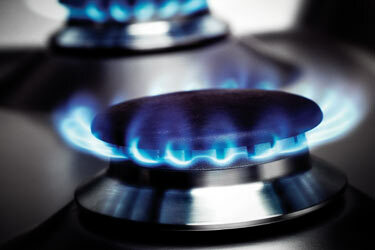 Natural gas is primarily Methane and is often referred to as "Mains gas" or "Piped gas". This is the method by which most NZ households receive their gas. Gas is via the mains so you don't need to manage your supply. Not available in all areas of New Zealand. What size gas bottle do I need? Gas bottles come in a variety of sizes based on their weight. The heavier the bottle, the higher volume of gas bottle. This is the standard size of the familiar bbq gas bottle. (arguably the most common bottle size). This is the standard size of gas bottle for most residential users (these are the bottle sizes we use for our bottled gas plans). This is the size of bottle that most people will require. This bottle size is often used for residential customers with higher than usual usage. This bottle size is for home users with particularly high usage. * At Genesis, we only provide 45kg gas bottles to bottled gas customers. How long does a 45kg LPG gas bottle last? Take a look at the table below. This is based on the typical average household usage per year. How to tell if your gas bottle is empty? Most households will run off two gas bottles at at time so you have a backup when one runs empty offering an uninterrupted supply. 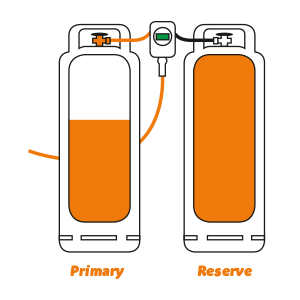 One bottle (primary) provides the main supply and the other (reserve) is a backup that provides extra gas when required. 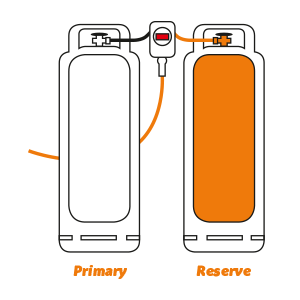 When the primary bottle is empty, the regulator changes over to the reserve bottle and the indicator turns red. You need to check the indicator on a regular basis to see if it is empty. TIP 1: If you use your bottled gas for heating, make sure you check every second day during winter. TIP 2: Sometimes, the indicator will dip into the red but then go back to green or black usually when there are a lot of appliances drawing from the bottle at the same time. So, check the indicator without any appliances on 12 hrs after it turned red. If it's still red after then you need to order a refill. Gas bottles for household use are too large to take to a refilling station (unlike 9kg bottles used for barbecues etc.) When your gas bottle is empty, you will need to arrange for your bottled gas provider to refill it for you. Genesis customers can order bottle refills online, via the Genesis Mobile App or by phone. We’ll deliver a full bottle on the next available delivery day in your area, excluding weekends and public holidays. If you require an urgent delivery an extra fee is payable in addition to the standard delivery charge. Please contact us on 0800 300 400 to confirm time and costs for urgent delivery.